Mermaids are totally hip at the moment. They’re like a modern unicorn… colorful and mystical. Only we’re drawn to mermaids because they’re beautiful, shiny, elegant, carefree… and they get to spend lots of time at the beach. For many of us, we remember watching Disney’s The Little Mermaid as a kid. And, just like the cycle of every other trend (including bell bottoms, bib overalls and crop tops to name a few), 20 years later we fell back in love with mermaids… all things mermaid. Long gone is the folklore and mythology behind the mermaid’s existence and how they were a little on the scary side (hello… they used to drive men mad and would even make their way into towns and drag people back to their watery homes… eek). Now it’s all glitter and sparkles and shells-in-your-hair tiaras. Which is totally okay with me! I think life could use a little more sparkle. So since mermaids is all the rage, go ahead and flaunt your mermaid tail towels, order a Mermaid Frappuccino from Starbuck’s secret menu, and get your watery nymph colored nails going. Mermaids are all the rage so I just had to pull together some really great foods, accessories and activities to help you become the (semi)-aquatic goddess of fun and sparkle in your home! Q: What kind of phone does a mermaid use? Q: Why was the mermaid embarrassed? A: Because she saw the ship’s bottom. The mermaid craze is surfacing everywhere! 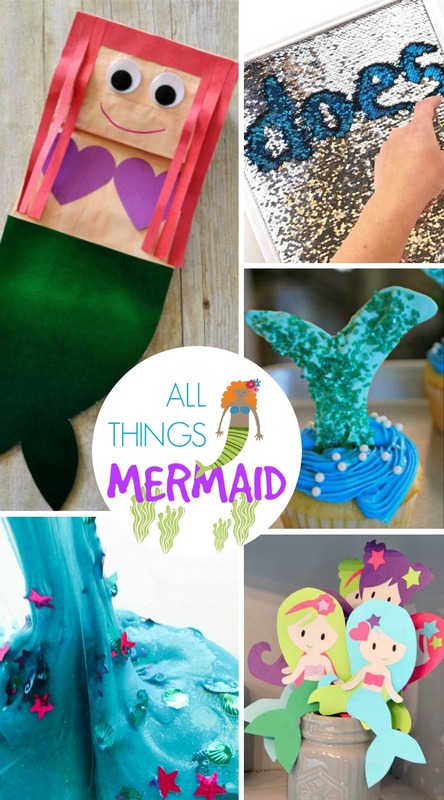 Whether you’re mermaid at heart or just combing the internet for the coolest mermaid fads, you’ll find the most adorable mermaid swimsuits and swimmable tails for the little ones, photo booth accessory kits, mermaid socks, pool rafts and even garden statues! 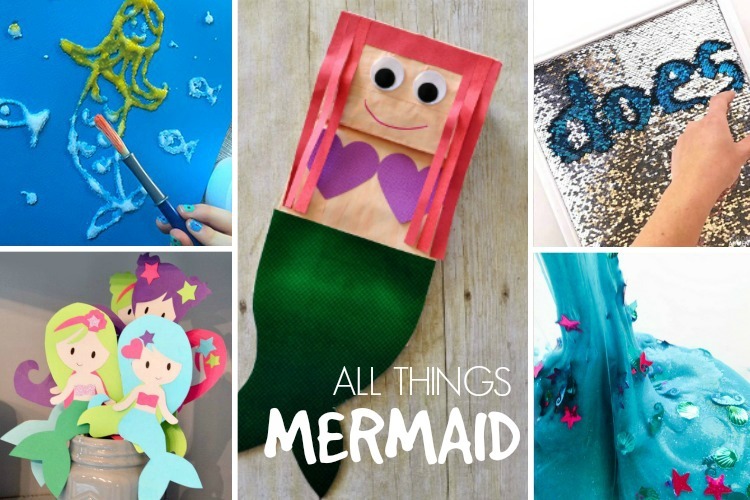 So shell yah… glitter up and get your mermaid on!